Delhi Deputy Chief Minister Manish Sisodia has said a university should come up at the site of the disputed Babri Masjid-Ram Janmabhoomi site in Ayodhya in Uttar Pradesh. He emphasised that ‘Ram Rajya’ can be ushered through education and not by constructing a grand temple. “My stand is that with a consensus from both sides (Hindus and Muslims), let’s build a good university at that place,” Sisodia said in an interview with NDTV that was aired on Sunday. 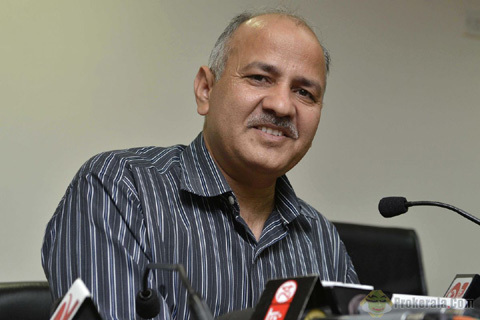 Asked about the current wave of caste politics in Indian politics, Sisodia, who is also Delhi’s Education Minister, said that the only way to end it was through education. “When I was at Japan University, the people there were talking about a new concept of running cars with hydrogen and on the same day on Twitter we were debating about Lord Hanuman’s caste. It is really unfortunate but the only way to move forward is by education,” he said. “Delhi Police need to be under the Delhi government,” he said. He also said the previous Sheila Dikshit-led government “didn’t do any work” in Delhi. “If her government had done anything, we wouldn’t have to struggle like this to get work done,” he said.